This Irish lamp features a shamrock design on the Tiffany style stained glass shade; it includes a metal base with a bronze finish. 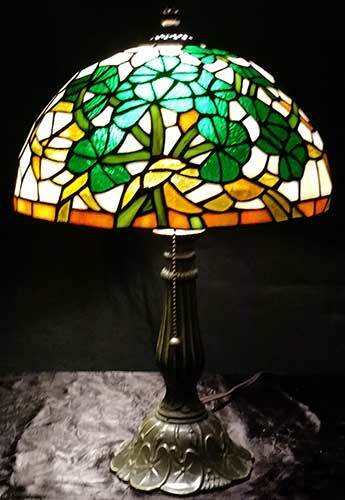 The shamrock lamp is made of metal and glass and measures 21” tall and the shade is 13" wide. 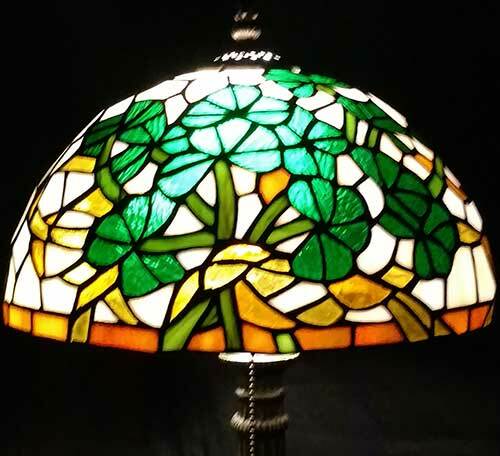 The stained glass Irish lamp is boxed with a shamrock history card, complements of The Irish Gift House. The lamp is imported, minor assembly required. Irish lamp is a large design that features a stained glass Celtic knot motif. Irish lamp features a pleated stained glass shade that is enhanced with Celtic knot-work. 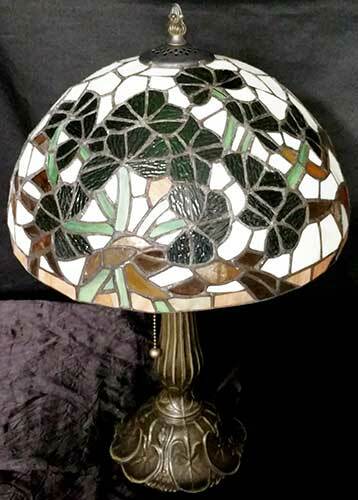 Celtic lamp features a knot-work motif on the stained glass shade.